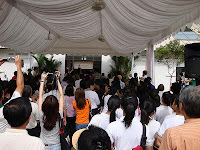 Yesterday, 5 Sep 2009, saw the official opening of yet another environmental offering from the National Parks Board in Singapore. 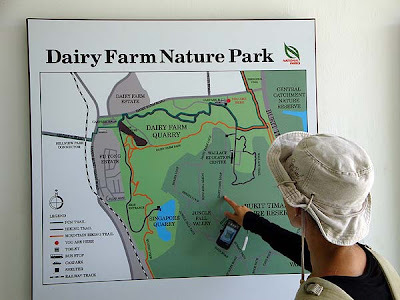 With the opening of the $5.7M Dairy Farm Nature Park and the Wallace Education Centre, Singaporean nature buffs can now enjoy another gateway to the Bukit Timah Nature Reserve via the 63 Ha Dairy Farm Nature Park. 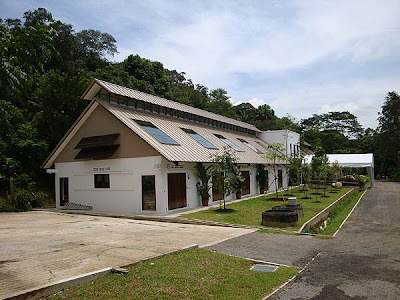 Located on the northern boundary of the Bukit Timah Nature Reserve, and off Dairy Farm Road, the Visitor Centre of the Dairy Farm Nature Park boasts a small sheltered gathering area and an open landscaped toilet for users of the park. A new carpark with a relatively good number of parking lots will delight drivers who used to park at the Hindhede area. 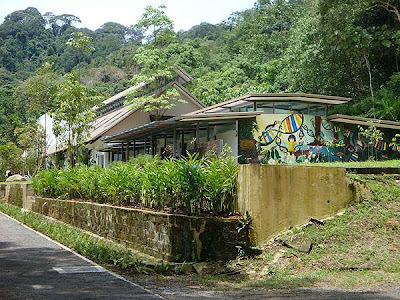 A second carpark off Upper Bukit Timah Road near the MOE Adventure Camp also offers users of the Bukit Timah Nature Reserves another alternative location to start off their nature walks. 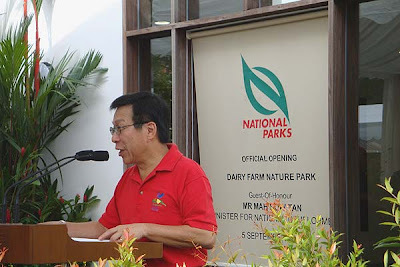 The Dairy Farm Nature Reserve & Wallace Education Centre was officially opened by Minister for National Development, Mr Mah Bow Tan. 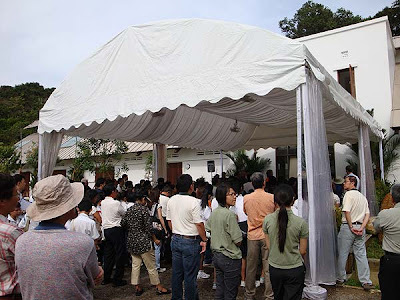 Received by a sizeable crowd of nature enthusiasts and school children, Minister shared the many new parks and nature offerings from the National Parks Board to the enthused crowd. 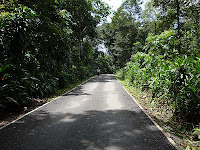 Amongst the projects will be an interesting concept of creating a new 50m wide nature link between the Bukit Timah Nature Reserve and the Central Catchment Nature Reserve over the Bukit Timah Expressway (BKE). The bridge, 50m wide at its narrowest point and planted with dense trees resembling a forest habitat, could help populations of animals like the critically-endangered banded leaf monkey to recover. 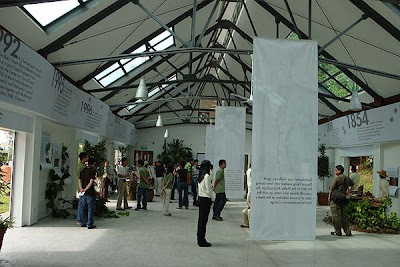 The Wallace Education Centre also serves as a exhibition and learning facility for nature enthusiasts to meet and share their knowledge with others. Converted from an old dairy farm, the building houses two big exhibition halls and some meeting facilities. The building is a nice example of architectural conservation and adaptive re-use of a utilitarian agricultural building. At the exhibition on opening day was a chronological history of the area, and some nature dioramas featuring the flora and fauna of the Dairy Farm area. An ecological learning lab converted from an old cowshed offers programmes developed with partners Raffles Girls' School and the National University of Singapore, and sponsored by GlaxoSmith-Kline. On the school side of the exhibition were booths featuring recycling and nature appreciation from various school participants. One of the booths also featured butterfly appreciation and conservation, and I was amused to note that many of the photos from the Raffles Girls School exhibit were taken from ButterflyCircle members' works (probably without permission! :-p) Anyway, it's for a good cause and our works were used to enhance the girls' mission to promote butterfly conservation. 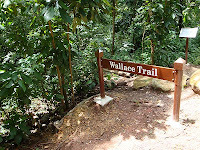 The Dairy Farm Nature Park also features a number of well-marked trails, one of which celebrates the renowned 19th century naturalist, Alfred Russel Wallace who did a lot of work walking the trails and collecting at Bukit Timah Hill and the surrounding area during his time in Singapore. 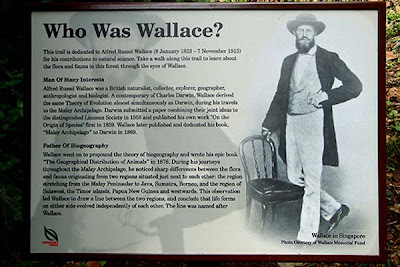 A special trail is also dedicated to Wallace. 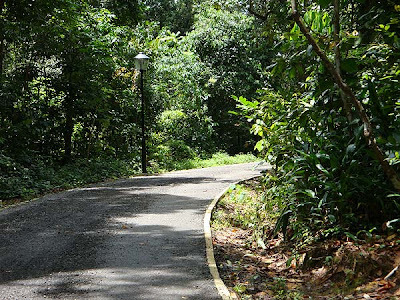 Many trails also link to the Bukit Timah Nature Reserve and the nearby Zhenghua Park. It was a nice event, and I had the opportunity to meet old friends from MND, NParks, NUS School of Design and Environment, nature enthusiasts and also to make new acquaintances with like-minded people in the nature community in Singapore. 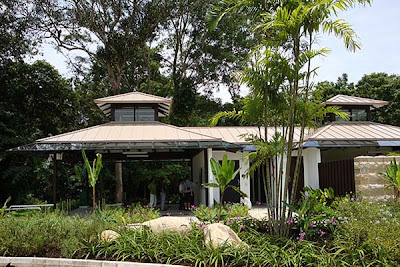 With the opening of this new facility, nature enthusiasts now have better accessibility and parking amenities to another area of the Bukit Timah Nature Reserve, and hopefully, alleviate the over-crowded conditions at the Hindhede Road side of the Nature Reserve. 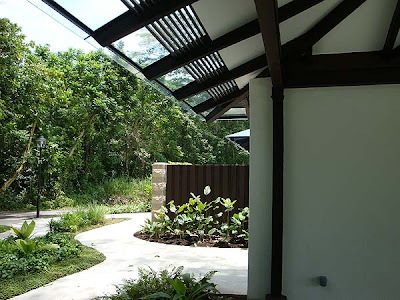 ButterflyCircle members now also have another location to conduct butterfly surveys and photography, and perhaps soon add more species to the Singapore Checklist! I was at the opening too. Sure. How do I contact you? I'll be away from tomorrow evening till Sunday, so if your article is coming out anytime soon I can still be contacted in the morning.